Today’s hotel, B&B and spa guests are choosy. They expect to sleep in soft, smooth linen, dry off using fluffy, absorbent towels, and dine on crisp white table cloths. But a growing number are also showing interest in where their bed and bath linen has come from, and how ethically it was made. Companies can no-longer ignore their suppliers’ ethics. From the coffee they buy to the linen they use; many companies now believe how business is done is as important as the business they do. Suppliers that can demonstrate sustainability in their supply chain are winning more business. Even if the tender doesn’t require proof of ethical sourcing practices, “there’s usually a tick box somewhere in the background,” says Tonrose Head of Procurement, Laura Bolton. Tonrose has long championed ethical and responsible sourcing and supplier development, and only works with partners that share its values. Some mills have been with Tonrose for over 20 years. “Building stronger, lasting partnerships enable us to provide best value and service, oversee sustainability across the supply chain and develop innovative solutions that give customers exactly what they need – often before they know they need it.” says Laura. 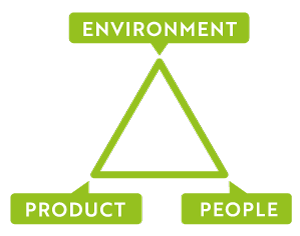 In this three-part series, we will look at the ethical pillars that sit at the heart of Tonrose: Product, People, Environment. Used daily by the world’s population, cotton is one of our most important natural fibres. It’s a renewable natural resource, supports 250 million livelihoods, but must be managed responsibly. Tonrose was the first UK trade linen business to sign up to the Better Cotton Initiative1 (BCI). Formed in 2005, the BCI connects the complex international supply chain, from farmers to retailers, and promotes global standards. From working with farmers to improve yields and the sustainability of their farms, to minimising pesticide use and preserving water to limit environmental impact, the BCI improve the livelihoods and economic development of the areas the produce cotton. Tonrose’s membership to the BCI demonstrates our commitment to responsible sourcing and improving the flow of Better Cotton throughout supply chain. Find out more about Tonrose’s commitment to its people, staff welfare and working with ethical suppliers in Part 2.